It is extremely important to Dr. Jean Barthman that her dental patients maintain strong, healthy smiles that allow them to perform oral functions comfortably. However, it is equally important that patients feel proud of the way their smile looks. Unfortunately, over time, some patients develop cosmetic flaws that compromise the appearance of the teeth. Flaws such as dental stains, general discoloration, small chips and cracks, and minor alignment problems can all leave the smile looking less than ideal. Porcelain veneers conceal a wide range of dental flaws to leave the teeth looking whiter, brighter, straighter, and generally more attractive. The benefits of porcelain veneers are overwhelming, but traditional veneers are an irreversible treatment, so patients should have a good understanding of the procedure before committing to treatment. Here, we discuss preparing your teeth for porcelain veneers at our Redwood City, CA dental practice. Porcelain veneers treatment takes place over two separate appointments. The first appointment involves preparing the teeth for porcelain veneers placement, designing veneers that will meet the patient’s aesthetic goals, and taking molds of the teeth so the veneers can be fabricated to fit properly. The second appointment is when the completed porcelain veneers will be placed. 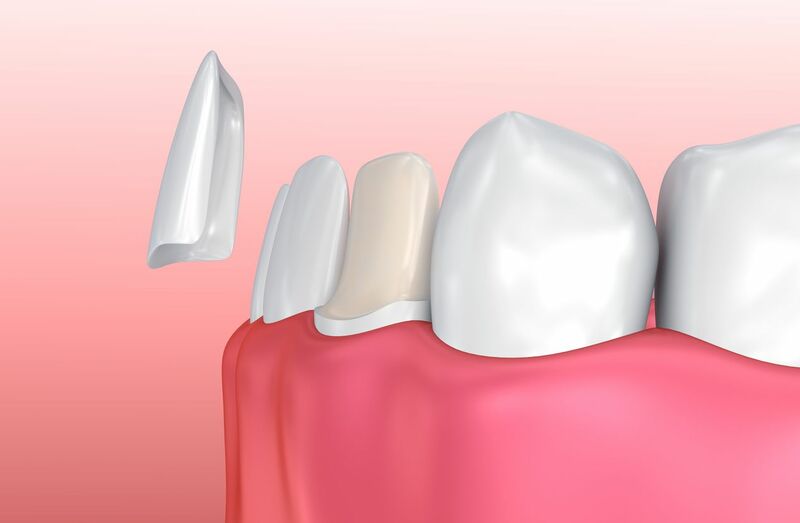 One of the most important aspects of porcelain veneers treatment is the preparation of the teeth. The preparation process ensures that the veneers will fit comfortably and blend in seamlessly with the natural teeth. To prepare the teeth for porcelain veneers, Dr. Barthman alters the structure of the natural teeth. Compared to many other restorative dentistry treatments, the alteration required for porcelain veneers is minimal. Still, this treatment alters the teeth enough that they will always need to be protected by a set of porcelain veneers, which is why treatment is considered irreversible. During preparation, Dr. Barthman will remove a thin layer of tooth enamel from the teeth. She removes just enough of the tooth structure to accommodate placement of the porcelain veneers, which are extremely thin. This preparation assures that the veneers will fit securely to the teeth and sit flush with any adjacent natural teeth. It is important that the veneers do not stick out from the other teeth, because we want the smile to look beautiful, yet natural. Although porcelain veneers preparation does reduce the tooth’s natural structure, the teeth will remain strong and functional as long as they are bonded to the porcelain veneers. Patients who have concerns about the preparation process required for traditional porcelain veneers do have an alternative treatment option to consider. Dr. Barthman also offers prepless veneers. These veneers require just a light etching of the tooth surface (which helps the veneers bond to the teeth), rather than removal of tooth enamel. Patients who are interested in this procedure can discuss this option with Dr. Barthman to find out if they are ideal candidates for prepless veneers treatment. If you’d like to enhance the beauty of your smile, porcelain veneers are a great option. To learn more about the porcelain veneers procedure, and whether this treatment may be right for you, schedule an appointment with Dr. Jean Barthman at your earliest convenience.